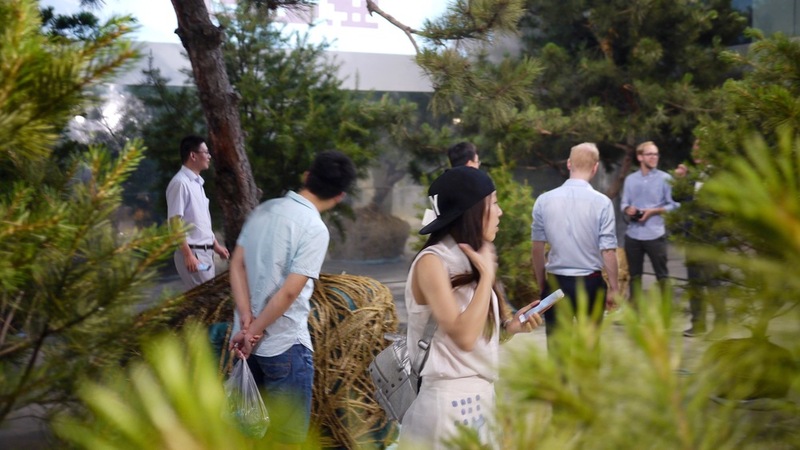 In 2018 Copenhagen was guest city at Beijing Design Week – the biggest design event in Asia. The City of Copenhagen and its main organising partners, The Royal Danish Embassy and Danish Cultural Center, appointed a team from andel and Norm Architects as curator for the guest city participation: Mike Ameko Lippert, Signe Bjerregard, Britt Engelhardt Gundersen, Linda Korndal and Peter Eland. The curator team was repsonsible for the guest city main exhibition in an old gas tank in 751 D-park as well as the high-level opening symposium and workshops on smart cities and sustainable architecture in collaboration with EMGdotART, Next Architecture and 2050 Urban Regeneration. Following the event in Beijing, the curator team was asked by Beijing Design Week organisers to further develop the guest city concept and introduce it as an lifestyle exhibition at Zhuhai Design Week 2018. The guest city participation was all about sharing a mindset that celebrates living as giving as an invitation to create cities where what we give to each other and to nature is much more than what we take. Facilitating a new vision for Ørestad City based on nature and art, development of strategy plan and creative urban interventions. (2012-2014). Facilitating the founding vision for Ørestad City (2005). The capital’s new neighbourhood emerges from the old industrial harbour, between the sea and the sky. Expansion is necessary because Copenhagen’s population will increase by 100 000 inhabitants by 2025. This requires space, jobs and housing. How do we present the overall story of the city’s expansion into what used to be industrial harbour areas? How do we create a temporary space, where you can experience the totality of the future city district that is being built over the coming years? The exhibition has been set up in the old DLG silo, which is Nordhavn’s prime landmark. Here, we present models and plans for Nordhavn’s future development in the preserved raw industrial silo spaces. Over the next five years, the exhibition will be the central platform for CPH City & Port Development’s sales and communication activities. A welfairytale is when lifestyle, consumption and growth go hand in hand with sustainability and social consideration. Welfairytales are stories about what we are good at in Denmark, namely to act holistically with an eye for both the human factor and the global implications. Welfairytales was more than a traditional exhibition pavilion. It was an opportunity to try out the city life that we are talking about. You could jump on a city bike and meet the Danes, their lives and dreams. You could let the children loose on the nature playground. You could enjoy an organic picnic and dip your toes in the water by The Little Mermaid. With Welfairytales, we wanted to show that welfare is not just about wealth. It is the opportunity to live a life that is humanly as well as environmentally coherent.